We specialize in making things tough and keeping things ridiculously cold. 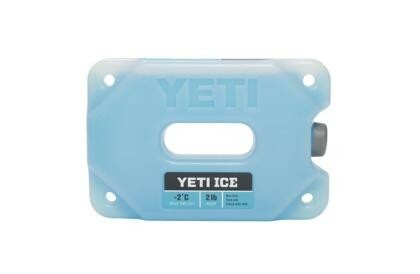 YETI ICE does both: it chills contents faster, and it will never break. This ice substitute is filled with science, dialed in to the most effective temperature to maximize the ice retention of any cooler. Its custom shape reduces freezing time and maximizes durability. From lunchbox to skiff to elk camp, YETI ICE will take all the abuse needed to preserve your perishables longer. Dimensions: 8" x 5 3/8" x 1 3/5"